Red Tiger have made quite the entrance! There’s a new game provider in OJO town and their games are as wild as their name. There are 43 new Red Tiger games now in the OJO library and we’re sure there’ll be more just around the corner. Red Tiger Gaming was only founded in 2014 but they have certainly been a game-changer (ba-boom) in the online gaming world. The games are exciting, feature rich and the visuals and sound effects are something to shout about. But the biggest game-changer of all? Well that would be their Must Drop feature that can be found on selected games i.e. a jackpot that MUST DROP before a set time every day! Yep, one of the things that makes Red Tiger games stand out from all the rest is their unique ‘Must Go’ jackpots. Currently featured in 5 of their games at PlayOJO, each of these games hosts a jackpot that must be won before a certain time EVERY SINGLE DAY! 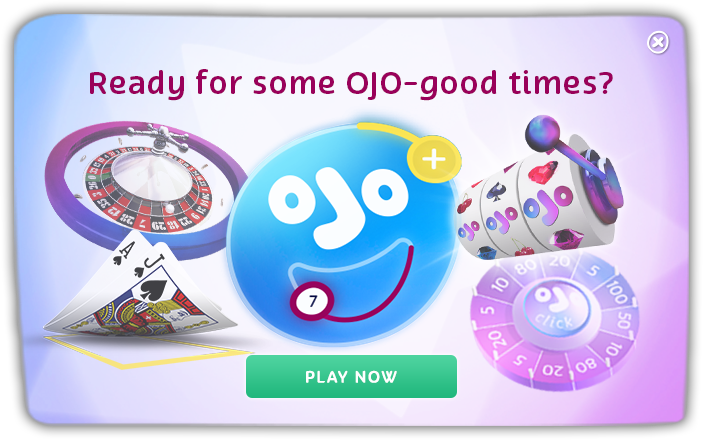 It’s a guaranteed jackpot for one lucky OJOer and the countdown timer is there inside your game-play so that you can see how long it’s got left to drop. Ooo, the suspense is a killer! Each of these games also has a Turbo Jackpot and an even bigger Mega Jackpot up for grabs and they can drop at any time whatsoever! Coz it’s always good to have options. Tiki Fruits: Set on a gorgeous Hawaiian-style beach, this slot has all the classic fruit-machine symbols, including the classic lucky 7s. All the good stuff is collected in meters on the screen and when you fill up the meter a special prize is awarded. The coconut is the bonus symbol and they are collected in the meter to trigger the Tiki Spins feature. Just the perfect beach escape! Piggy Pirates: Join these little piggies on their piggy pirate ship for a sailing adventure. The jewel-filled treasure chest is the highest paying symbol and 6 of them on the same line will give you 50 times your stake. Of course, there’s always the chance that you’ll pocket that daily jackpot! Fortune Charm: Enter a Chinese world that’ll leave you craving for your fave takeaway dish. The dragon is the highest paying symbol so look out for them. The Fortune Charms feature is also something to shout about as it transforms all the boxes into the same symbol for some possible cha-ching results! Totem Lightning Power Reels: A Native American adventure is what you’ll have when you play this Must Drop jackpot game. The awesome thing about this slot is that new symbols will drop down into empty spaces to give you another shot at a win and will go again if you get a low-value result. Now you know why they call them power reels. Gemtastic: This jewel-themed Must Drop slot will take you deep underground to a mining treasure trove. This game uses a cascading reel mechanism which makes room for many a chain reaction win. Look out for those Mega Gems as they just want to you to have bigger wins – oh yes they do! Wild Circus: This spinning circus has more features than a circus has acts! They include the Fire Breather feature, where you pick a flaming torch to win cash prizes and the Strongman feature where you pick a ball to win a choice of multiplier prizes. There is seriously so much up for grabs here! There’s a daily jackpot that WILL drop today – we’ve got our fingers crossed for ya! THE VIKINGS HAVE INVADED PLAYOJO!